Heh when I first saw the graphic for mass storage I thought it be something like a cellar or basement to store things. The fact it can store all that is really out there though the counter balance is good. Actually it would be cool to have a cellar/basement version of this. Have storage by designating an area and that is relatively how much storage space you get. The platform start to drill slowly into the deep for a 2x2 hole to store things. The power usage is needed for the drilling and liftstoragesystem. Also, I've made a new poll! Do you guys think that there should be Factorio-style crafters in RimWorld, or just use Misc. Robots++ ? Poll conclusive, 11 votes to zero. Guess I'll have a new job then. I'm back with an update! Here's what I've been working on so far. The building can now craft and output items and you can set their input/output configuration, however the workbench has to face the direction of the arrow. It works as fast as a level 0 (I think?) crafter but the quality is equivalent to level 10. Hope I helped. Cheers for great work. Can you make a dropbox link to the other downloads (main mods, you already did it with the battery, etc ones) since I don't have the steam version or know how to work the configurations of the files in github to get the mod? Yeah, he is a lazy dev like many other, he could made it easyer for simple gamer but. look for the green button "Clone or download". You are geting a zip <modname>-Master.zip just unzip this into your mod folder. You can remove the "Master" from the folder inside the zip but not nessesary. I will, however, include dropbox links to earlier alpha versions (when it happens) of the mod because I don't expect anyone to know how do scroll down to previous versions. You don't need dropbox links, just made a own archive like you would do it and store at under release at github, and link these at the 1. posting. So when you click at these link at the 1. posting you geting the download without open the github page. I give my thanks to you all! 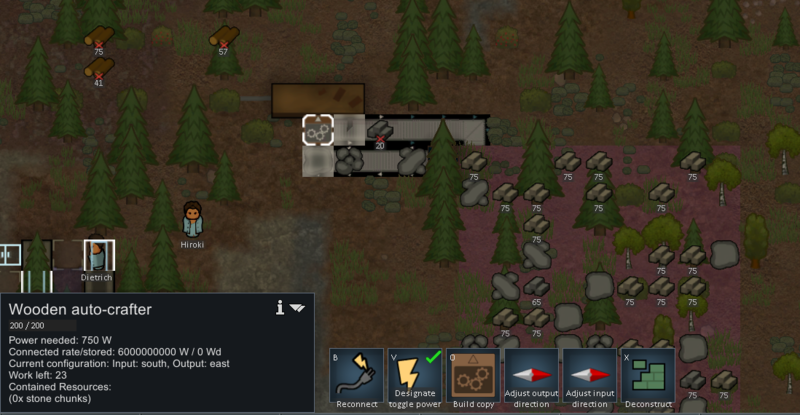 Just a fix to stop pawns with mechanoid flesh type that aren't even from the mechanoid faction spawning in ancient dangers. Useful for the Raiderpede mod! Preview image: Raiderpede, Drawn by A Friend, in Jdalt's Raiderpede mod.